Late last week, two Republican House members filed a legal action against the Wolf Administration for defunding, and later absorbing into the governor’s budget office, an independent watchdog commission overseeing public sector pension costs. The Public Employee Retirement Commission (PERC) PERC assessed the actuarial health of Pennsylvania’s two state-level public pension systems: SERS for state workers and PSERS for public school employees. The filing in Commonwealth Court came just a few days before the start of three-week long budget hearing process by the House and Senate Appropriations Committees. During the first budget hearing on Monday, the $60 billion in unfunded liability in SERS and PSERS was quickly cited as one of the top budget issues. One of the House members behind the legal action regarding PERC, Steve Bloom (R-199), likewise characterized the public pension crisis as our number one budget issue and emphasized that having an independent watchdog commission is key to solvency. The other House member behind the legal action is Rep. Seth Grove (R-196). The Bloom/Grove action asks the court for an immediate injunction and a declaratory judgment that the governor has no authority to eliminate PERC. At the end of last year, PERC was caught in the middle of a battle over reforms of SERS and PSERS. PERC found a $600 million error in an assessment of what a pension reform bill would save. The bill was later voted down in the House. Bloom said the governor seized PERC because he didn’t get the answer he wanted regarding the pension reform legislation. Ironically, PERC was created in 1981 precisely to avoid this sort of political and fiscal manipulation of the pension systems, according to Jim McAneny, who lost his job as Executive Director of PERC when it was defunded. 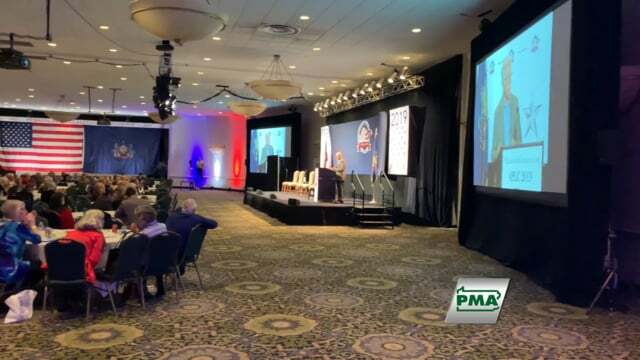 Republican lawmakers also questioned the Wolf Administration’s authority to spend an estimated $37.5 billion in federal and state dollars since July 1, with no budget in place due to the full veto issued by the governor on June 30. Republican chairs of the House and Senate Appropriations committees sent a letter to the Auditor General requesting a review of all spending by the Wolf Administration between the start of the 2015-16 fiscal year. Auditor General Eugene DePasquale said he is reviewing the request. During the hearings, Republican Senators also hit back at the governor’s fear mongering and flat out exaggerations in his February 9 budget address. “The only cuts in education funding were due to the governor’s little blue pen,” said Corman, referring to Wolf’s striking $6 billion in spending from the budget he received. Corman also took issue with the governor’s claim that school districts are dramatically raising property taxes to make up for the education funding Harrisburg won’t provide. Corman said the average increase statewide in local school property taxes during 2011, 2012 and 2013 – the three years Wolf called “Harrisburg’s irresponsibility” with regard to education funding - was 2.2 percent. He said they increased an average of 7 percent during the 1990s, and by 6 percent in the 2000s. Senator Lloyd Smucker (R-Lancaster), Chair of the Education Committee, also disputed the governor’s repeated claims that Pennsylvania greatly underfunds basic education, and that the lack of funding shows in students’ test scores. 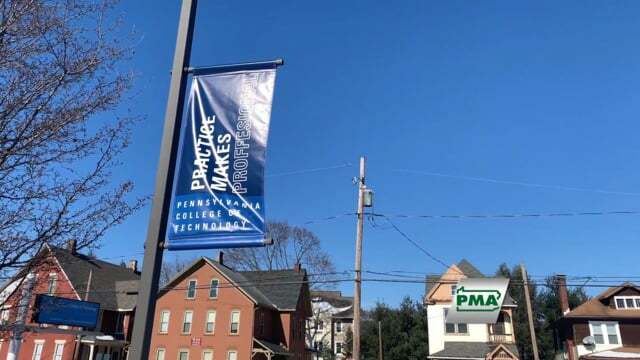 Smucker said the federal Department of Education shows Pennsylvania near the top in the nation with average dollars spent per student, spending nearly $4,000 more per student than the national average of about $11,300. He also noted that Pennsylvania student scores have ranked in the top ten for the at least the past seven years. For its part, the administration is sticking to its insistence that Pennsylvania needs across-the-board tax increases to complete the 2015-16 budget and to fund the 2016-17 budget, when the new fiscal year begins on July 1. This includes a 6.25 percent severance tax when other states are moving to reduce energy taxes taxes given the downturn in the markets, a retroactive personal income tax, and an overwhelming expansion of the state’s six percent sales tax. The governor has also backed away from any proposals to reform business taxes. Near the end of the hearing with Budget Secretary Randy Albright, Senator Vulakovich said that in the spirit of compromise he voted for the framework budget last year. Vulakovich said the administration is going to have to work “a hell of a lot harder” to get his vote this year.